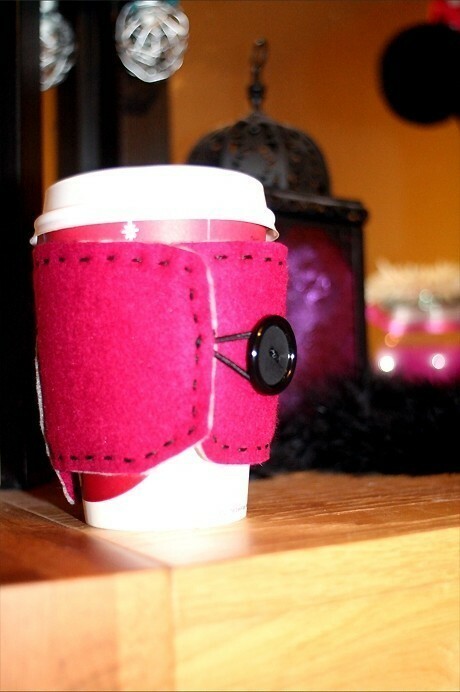 Reversible felt takeaway cup holder. 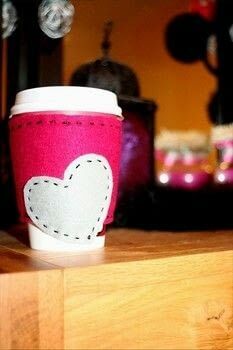 Use a takeaway cup holder as a template for the foam base of the cosy. 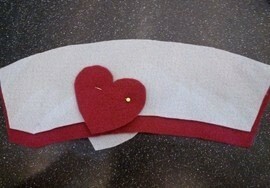 Pin the foam template onto a sheet of felt and cut around, leaving about 2cm gap. Repeat a second time. 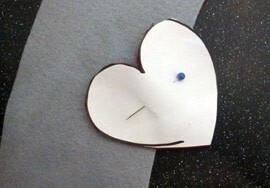 Draw a heart on paper and use as a template. 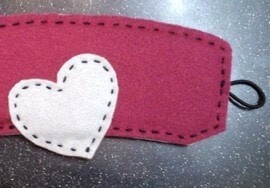 Cut two hearts from the felt. Pin the shapes in place- remember to 'reverse' the other side so both sides match. 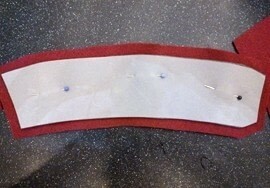 Place the foam in between the two felts and pin the edges together, ready to sew. 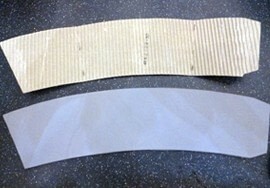 Cut a hair band in half and sew it's ends together. 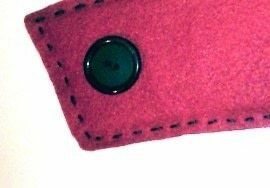 Slide in between the felt/foam and stitch in. 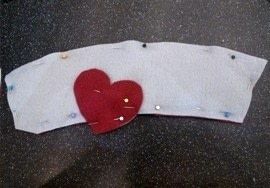 Stitch around the entire piece using embroidery thread- this creates a nice complimentary chunky stitch look. 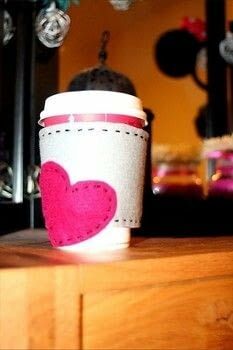 Wrap the cosy around a takeaway cup, marking a dot in the center of where the hair band loop falls. 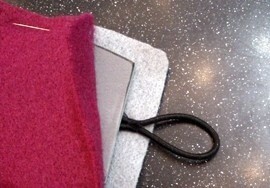 Sew a button onto this spot and repeat for the other side. Awh I'm so glad you guys like!! I hope you managed to favourite it in the end, Sarai B? If not, it's the thought that counts- thaaank you! <3 Tabby, you got a photo of your one?? I'd love to see!! i'm making one of this, right now!